Watcha gonna do. Watcha gonna do when they come for you. No, this isn't about my cowardice at the tables. It is about the future of online poker. If you read Bill Rini as I asked in the last blog, you came across his look at the future. Not often I get to use puissant but here it comes. 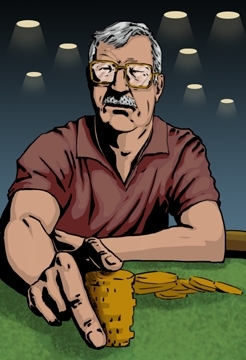 Bill's older post was a puissant look at the future of online poker.